A sports-service itinerary, this trip challenges students to push themselves physically while building meaningful relationships and interactions with the students at a local Kungfu School for underprivileged children. 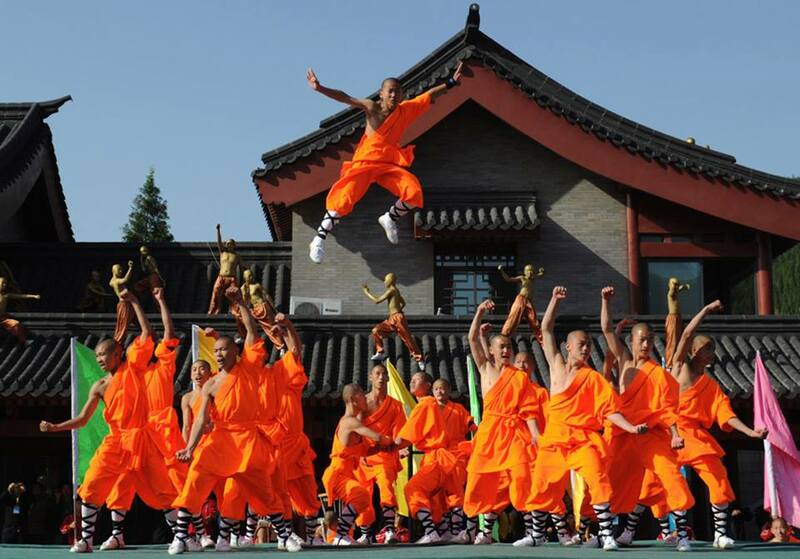 The school is run by a Shaolin Kungfu master for children who choose not to go to, or are rejected, from traditional schools. We visit the school to help renovate and aid their school in the mornings and learn Kungfu from them in the afternoons. Before going to the Shaolin area, students visit one of the four Great Ancient Capitals of China – Luoyang to see the 100,000 Buddhas. Our school trips are completely customizable and can be tailored to meet your requirements. Want to visit Fujian but with a different subject focused theme such as culture, Mandarin, geography, STEM, art or music? Speak to a specialist now to find out which additional destinations, itineraries and subject focuses are available for this trip. Upon arrival, meet your trip leaders and transfer into Luoyang city. Visit the Longmen Grottoes, an amazing collection of caves and over 100,000 stone structures. It is a UNESCO World Heritage Site and the world’s leading example of Buddhist art. Afterwards, we participate in a Traditional Chinese Ink Art lesson with students having the opportunity to integrate Buddhist motifs seen at the grottoes. After dinner, we visit Lijingmen street for a stroll. Take in the nightscapes and enjoy the local arts and crafts on display. Transfer to Dengfeng, the closest town to the Shaolin Temple and check in to our accommodation. Afterwards, we walk to the Shaolin Temple itself; the home of Shaolin Kung Fu. After a short walking tour and a performance, we hike to the Dharma cave located nearby. We then visit the Kungfu school at which we will be training for the next few days. The students perform a spectacular Kung Fu show followed by a lesson taught by the resident Shaolin Monk. Review the Kungfu learned yesterday in the morning, before doing the morning’s chores at the Kungfu school. In the afternoon we continue our training and learn additional sequences to the ones learned yesterday. In the evening we do a creative crafts exercise alongside the Kungfu students together prepared by The Learning Adventure. Finally, we finish the week with a campfire, and a Chinese-style dance and sing-along. We do a final run through of the Kungfu routines learned before saying goodbye to your guides and trip leaders before transferring to the airport. Apply what we’ve learned from our experiences here back at home. Creativity; students will be working on Chinese Ink Art projects, crafts with the Kungfu school students. Service; We help to maintain and renovate the Kungfu school at which we have our Kungfu lessons.